Majestic Tourist Hotel, Kandy, Sri Lanka : Rezerwuj teraz! room rate can negociate on B/B - H/B -F/F -basis for the group bookings. There are 20 double rooms on the first and second floor of the building. The restaurant is locate don the 4th floor and the fourth floor has an open area for sitting and looking at the beautiful mountains and the Kandy lake. 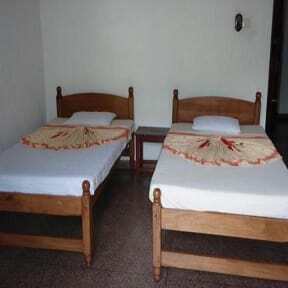 All the rooms have attached bathroom, hot and cold water, and tiled floors. Some also have balconies . The hotel has been newly built especially for foreign tourists. We are approved as 'A' Grade by the Sri Lanka Tourist Board. 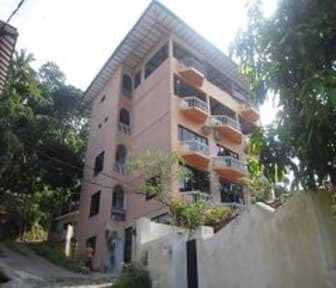 We are also within walking distance to the Temple of the Tooth, Kandy Town, Kandyan Dancing Hall, Traditional Auyrvadha & Herbal Treatments Center , etc.